It was almost more than three years back when I joined freshly as a software engineer at Oracle, I was exposed to the industry tools of which I had no idea of. I was put into the unlimited ocean of DBMS to play with the tools available. Whatever I tried on the tool, it shot up an error which prohibited me from proceeding further. I had to get out of my seat every 5 minutes to ask my senior what to do next. That's when he told me that there was an uncle whom I should ask all my queries to and that uncle was GOOGLE. 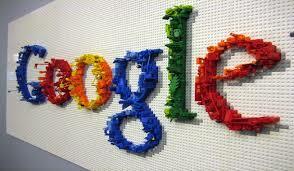 Google is a company founded by Sergey Brin and Larry Page. It provides us the best search engine on internet. People have got so used to Google that it has become analogous to internet today. The moment someone is asked to search through internet, s/he goes to Google. It's highly difficult to even imagine a world without Google today, which has been helping us find any kind of information at our fingertips. In spite so much of popularity of Google, still some are suffering not knowing as to how to use Google properly to resolve their queries. Google itself provides a lot of educational tutorials to learn on how to use Google better. Some of the best industry experts have written innumerable blogs on how to use Google to get exactly what you're searching for. I am not intending to share any such techniques about Google search because there is already lot of information floating online which you can make use of. search engine but because it's a vision which is benefiting mankind to a large extent. Thanks a lot Google!!!!!!!!!! !